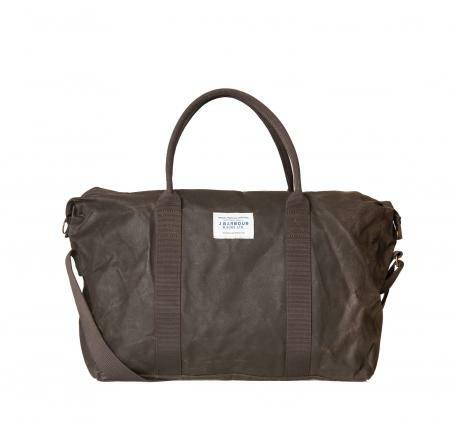 Barbour Dromond Holdall in olive. The Barbour Dromond Holdall Bag is made with a lightweight waxed cotton outer and a sturdy zipped closure with branded stud-fastening tabs at either end. The soft-grip webbing handles are complemented by an adjustable shoulder strap.